Can AMD's ageing quad-core architecture survive against newer rivals? A solid quad-core processor, but the end is nigh. AMD's newer six-core is better value. It's about time AMD released a properly new processor architecture. Until that happens, it's stuck with execution cores that largely date back to 2003. 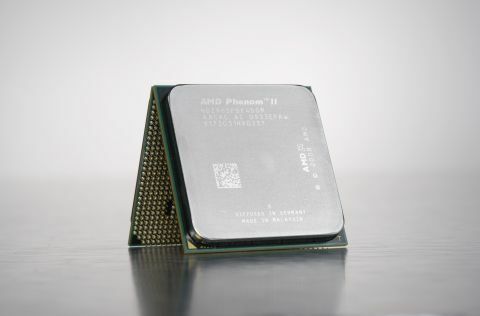 With that in mind, can the AMD Phenom II X4 965 Black Edition really be a plausible performance processor? AMD has certainly made life easier for its top quad-core chip by pricing it competitively. The Phenom II X4 965 BE is cheaper than Intel's entry level quads, the Core i5 750 and Core i5 760. However, at 3.4GHz the 965 is clocked much higher than the Intel opposition. However, the 965's biggest challenge might just be the cheaper of AMD's new six-core processors. The Phenom II X6 1055T is yours for an extra £10 or so. That's awfully tempting. Of course, what the 1055T doesn't have is an unlocked CPU multiplier. That's an enthusiast-friendly feature that usually makes for easier and more effective overclocking and could tip the balance in favour of the quad-core 965.